A storm and high seas isolate a house party at Morthead Manor situated in southwest England on a headland connected to the mainland by a narrow neck of land. 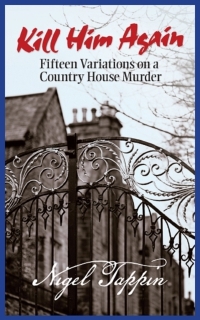 In the style of 1920s Golden Age mysteries, this collection explores different scenarios as to how, why and by whom the host is murdered. Somewhat unsavoury financier Captain Charles Mortlake’s murder can happen and be solved in a surprising number of ways. Can you guess how and whodunit before the colourful investigating characters?